Your complete guide to the RBC Avion rewards program from a Canadian perspective. After American Express Membership Rewards, RBC Avion is perhaps the next most useful transferrable rewards currency for Canadians. Its diverse suite of transfer partners and ease of earning points make it a great program to include as part of your points-earning endeavours. Let’s have a closer look at the program and all it has to offer. Before we begin, let me clarify that “RBC Avion” or “Avion points” are in fact the colloquial names for the program, which is technically known as “RBC Rewards”. Nevertheless, the name Avion has been subject to extensive marketing by RBC and has taken hold within the average consumer’s lingo, so that’s the one we’ll use. The RBC Visa Infinite Avion (or the “RBC Avion” for short) is the premium credit card, which in recent years has seen quite a few promotional signup bonuses. 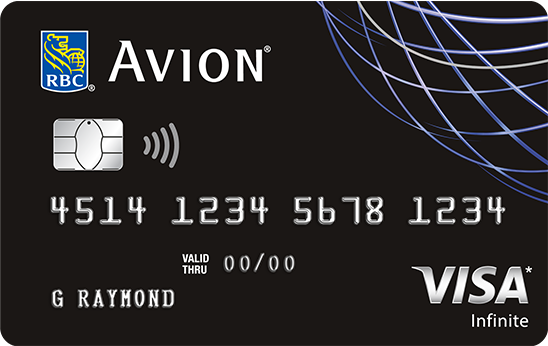 At the moment, the card is offering a total of 20,000 Avion points with a first-year fee waiver, which is a great deal. The standard offer on the RBC Avion tends to be 15,000 points with a $120 annual fee. The RBC Visa Platinum Avion is the lower-tier credit card that currently offers 15,000 Avion points upon first purchase for $120 annual fee. This card is targeted towards those who don’t meet the income requirements on the standard Visa Infinite. The RBC Avion Visa Infinite Privilege is the upper-tier premium credit card that offers 25,000 Avion points for a $399 annual fee. This card is targeted towards big spenders and high-income earners and accordingly comes with a higher points earning rate and high-end luxury travel benefits. In terms of pure value, neither the Visa Platinum nor the Visa Infinite Privilege are very compelling at all. It’s the RBC Visa Infinite Avion that you ought to be focusing on, since it constantly has promotions coming and going, and some of them – like the current offer that gives you 15,000 Avion points upon first purchase and another 5,000 upon spending $1,000 in the first three months – are pretty spectacular. Note that RBC also has a few other credit cards that are grouped under the “Rewards” banner rather than the “Travel” banner. While these cards still earn RBC Rewards points, those points can’t be redeemed in the same manner as the Travel credit cards that we’re focusing on in this guide. While these represent decent earning rates on for RBC Avion points, it’s worth pointing out that there are generally more valuable options for your everyday spend out there, such as the American Express Platinum Card or the American Express Gold Rewards Card for travel purchases. However, the RBC Visa Infinite Avion could certainly be a good Visa card option to keep in your wallet for merchants that don’t accept American Express. Besides the credit cards, RBC Avion also offers a shopping portal and the occasional promotional points bonus when you shop with select merchants online. The main draw of RBC Avion, and what elevates it above the other points programs operated by the Big 5 banks, is the ability to transfer points to frequent flyer programs. You can transfer your RBC Avion points at a 1:1 ratio to British Airways Avios, Cathay Pacific Asia Miles, and WestJet Rewards (1 Avion point = $0.01 in WestJet Dollars). You can also transfer points to American Airlines AAdvantage at a ratio of 10 RBC Avion points = 7 AAdvantage miles. British Airways Avios is great for short-haul journeys, as well as long-haul trips in economy class. Furthermore, most major Canadian cities have some kind of Avios sweet spot that you can maximize, such as Vancouver to Hong Kong in economy class for 25,000 miles one-way, Toronto to Dublin in economy class for 13,000 miles one-way, or Montreal to Dublin in business class for 31,750 miles one-way. For more information on Avios, read our full guide to the program here. Next, the ability to convert your RBC Avion points to WestJet Dollars provides coverage for all your domestic travel needs. Anytime you’re looking to redeem your Avios points for travel within Canada and the US, you can compare your options between redeeming directly through the RBC award chart or converting to WestJet Dollars and using them towards a WestJet flight. It’s also worth noting that RBC regularly puts on transfer promotions to Avios and WestJet Rewards. 30% bonuses seem to be the most common, so if you were to transfer 10,000 RBC Avion points, you’d get 13,000 Avios or $130 in WestJet Dollars. There are also occasionally 50% bonuses, which can really supercharge the value you get out of your points. Meanwhile, American Airlines AAdvantage and Cathay Pacific Asia Miles are very useful programs if you’re looking to fly on Oneworld airlines. Here in Canada, Aeroplan can take care of virtually all your Star Alliance needs, so having access to Oneworld programs is a great way to diversify. AAdvantage in particular is one of the few ways that Canadians can use points to fly on spectacular premium products like Qatar Airways QSuites and the Etihad Apartments. Meanwhile, Cathay Pacific Asia Miles has a very compelling multi-stop award chart that opens up many possibilities similar to the well-known Aeroplan Mini-RTW. 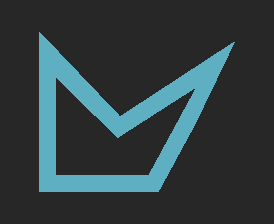 I hope to write some detailed guides on those programs in the near future, so look out for more information on the website. Lastly, it’s worth noting that there are a few restrictions on the ability to transfer points to these partners. In particular, for British Airways Avios, American AAdvantage, and Cathay Pacific Asia Miles, you need to transfer a minimum of 10,000 Avion points at a time – lower amounts cannot be processed. There is no such restriction for transfers to WestJet Rewards. One of the other ways you can use RBC Avion points is through their very own Air Travel Redemption Schedule, which you can find on the RBC Rewards website. Quick Getaways for 15,000 Avion points round-trip: This covers flights within or to an adjacent province/territory/US state. These definitions are purely cartographic, meaning that Toronto–Minneapolis qualifies as a Quick Getaway whilst Toronto–Chicago does not, even though the former is almost twice the distance. Explore North America for 35,000 Avion points round-trip: This covers flights within Canada and the contiguous United States that don’t fall under Quick Getaways. Holiday Destinations for 45,000 Avion points round-trip: This covers flights from Western Canada/US to Hawaii, Alaska, or Mexico, as well as flights from Eastern Canada/US to Bermuda, Central America, or the Caribbean. The exact definitions of Western and Eastern Canada/US are unclear, though I’d imagine the line for Canada would be drawn between Manitoba and Ontario. Take a Vacation for 55,000 Avion points round-trip: This covers basically any flights within the North American continent, plus Hawaii and Alaska, that isn’t covered by any of the previous three categories. Visit Europe for 65,000 Avion points round-trip: This covers flights from “major gateways” in Canada/US to Europe, although the exact definition of a major gateway isn’t specified. Each redemption option allows you to use the specified number of points towards a certain maximum ticket value of the “base fare” of your flight, which excludes things like airport improvement fees and government-imposed taxes that you’d have to pay separately. These additional charges, as well as any portion of the base fare not covered by your points, can also be redeemed using points at a lower rate of 1 cent per point (1cpp). So if you found a return flight to Europe with a base fare of, say, $1,000, you’d be redeeming 65,000 Avion points towards that $1,000 at a value $1,000 / 65,000 = 1.53cpp. If the base fare were exactly $1,300, you’d have reached the maximum ticket price for that redemption option and would be redeeming your points at a value of 2cpp, since $1,300 / 65,000 = 2cpp. And if the base fare were higher, say $1,500, you’d only be able to use the 65,000 Avion points towards the $1,300 of it. You’d still get a value of 2cpp, but you’d have to pay the additional $200 (plus taxes and fees) either out-of-pocket or by redeeming more points at an inferior 1cpp rate. The “sweet spot” for this award chart is therefore when the exact flight you want has a base fare that comes in as close to the 2cpp mark as possible. Any lower and you’re forgoing additional value that you might get with your points, and any higher and you’ll have to either pay the different out-of-pocket or redeem extra points at a terrible value. To be frank, the circumstances in which your desired flights come in at exactly 2cpp are rather limited. It’s therefore easy to see why RBC’s in-house travel redemption schedule is a less valuable use of Avion points than their airline transfer partners. By leveraging the sweet spots of each frequent flyer program, you get to attain a much higher value for your points than simply using RBC’s chart, which caps you at a value of 2cpp and even then you’re only going to get 2cpp in very select circumstances. RBC Avion is an important rewards program that often gets overlooked. Thanks to its unique set of transfer partners, the relative ease of accumulating points via RBC’s Avion-branded credit cards, and the frequency of transfer promotions of up to 50%, Avion points are extremely useful to collect as a way to supplement the major Canadian programs out there.